One of my favorite things about the fall is the food that goes with fall. There’s apples, pumpkin, cinnamon, caramel, and so many other seasonal flavors. It just makes me feel all warm inside when I start baking with these flavors. That’s why I’m so excited to be participating in Apple Week! 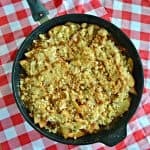 The first recipe I’m sharing is a breakfast recipe. I like to make breakfast recipes on Sundays that I can portion out and enjoy all week long. I usually make something in a big pan then cut it into pieces. I try to make breakfast items that are filling enough to keep me going until lunch without snacking. One thing that always fills me up is oatmeal. 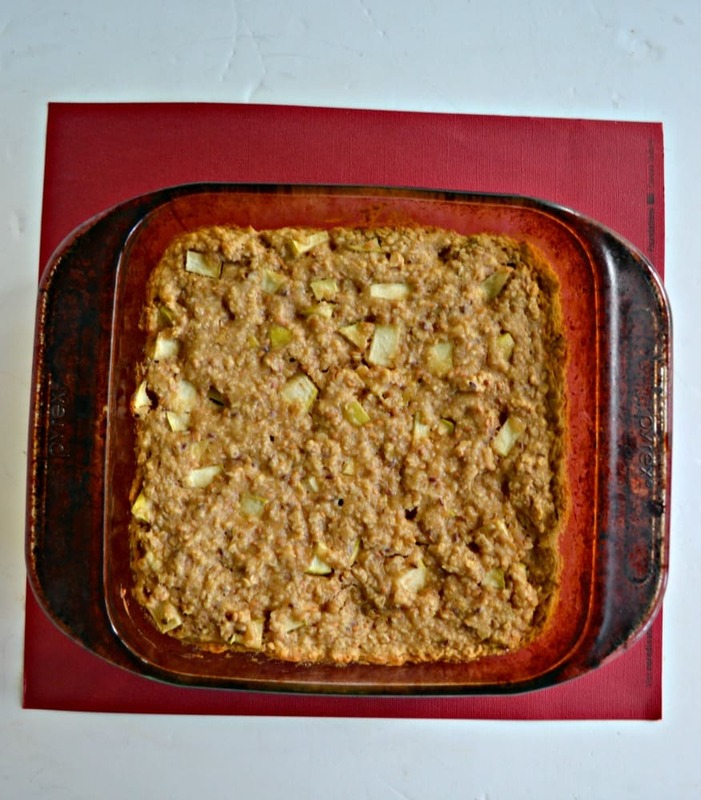 This recipe uses Flahavan’s Irish Steel Cut Oatmeal. I find that steel cut oatmeal makes for a chewier texture in these oatmeal bars. 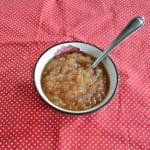 They contain oatmeal, apples, apple butter, and some other yummy ingredients. 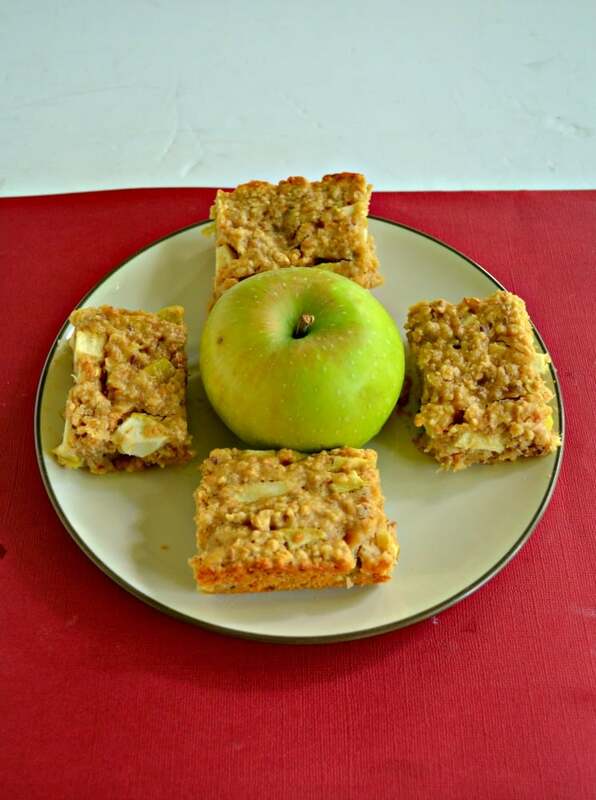 These Apple Oatmeal Breakfast Bars are a hearty and filling breakfast. 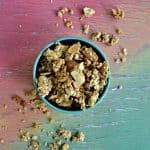 They are similar to baked oatmeal but firmer. They still have a soft and chewy texture and they are bursting with flavor from the apples and spices. 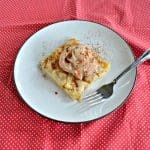 If you don’t like or have apple butter you can substitute any nut butter in these breakfast bars. You can also add in craisins or raisins or nuts if you’d like. 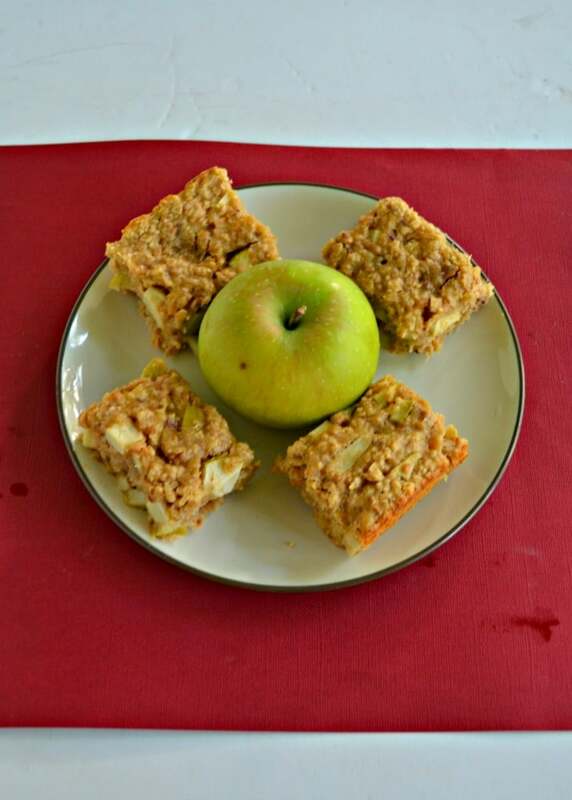 That’s the best part about these breakfast bars, you can customize them any way you want! I like making mine with apples, flax seeds, and spices because it’s perfect for the fall. 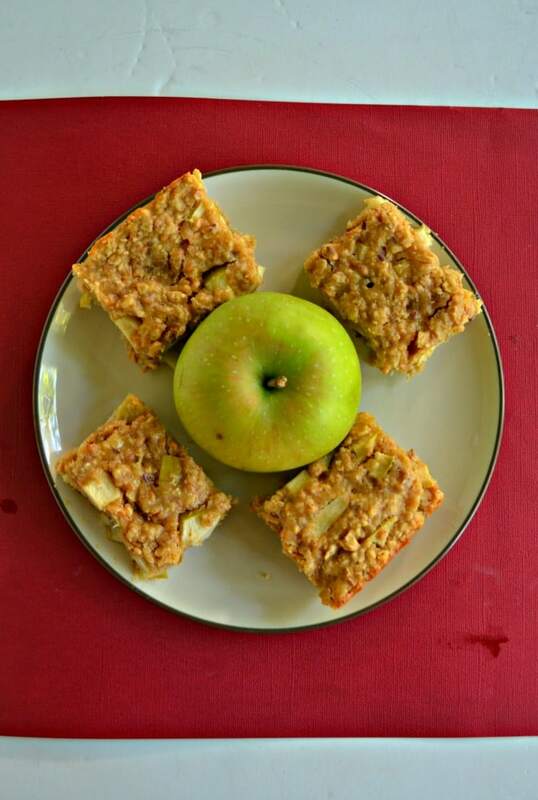 These Apple Oatmeal Breakfast Bars are soft and chewy and last for up to a week so they are great to make on the weekend and enjoy for breakfast all week long. Preheat the oven to 375 degrees. Spray an 8 x 8 or 9 x 9 pan with baking spray. In a large bowl combine the butter, apple butter, vanilla, egg, and brown sugar and mix well. Set aside. In another large bowl combine the Flahavan's Steel Cut Oatmeal, flour, baking powder, flax seeds, and cinnamon. Pour half of the oatmeal mixture into the bowl with the apple butter and mix well. Add in the milk and stir well. Pour the rest of the oatmeal mixture into the bowl with the milk mixture and mix well. Fold in the apples. Pour in the prepared baking dish. Bake for 25 minutes or until a toothpick inserted into the center comes out clean. Allow to cool for 20 minutes and then cut into 12 bars. Thank you to Flahavan’s for sending me a variety of delicious oatmeal but as always all opinions are 100% my own. « Fall Baking Made Easy with Pillsbury Filled Pastry Bags and Pumpkin Cupcakes! I love the sound of these bars. I also love the addition of flax seed for a little nutritional boost. What a yummy breakfast! It looks like it would work for grabbing on your way out the door as well.